The Saddlespan S5000 is the original and most popular of the Saddlespan range. It is a stunning centre piece at any event and can be installed on any surface. 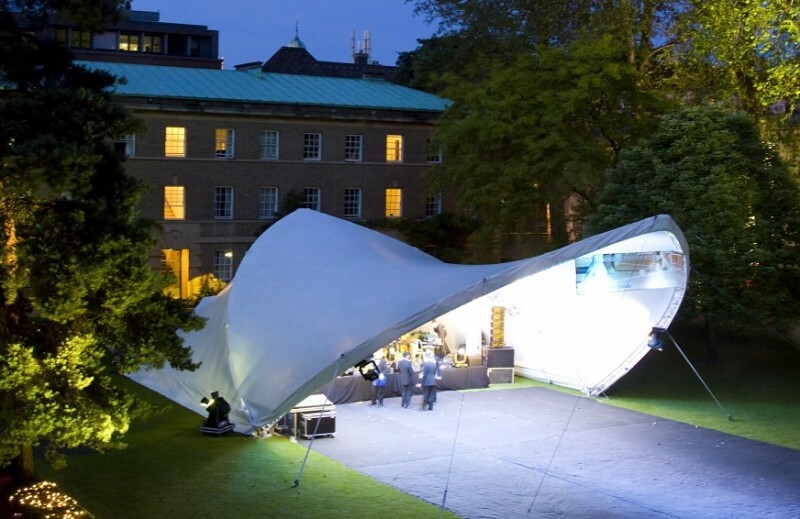 With the canopy open at both ends, the S5000 is typically used as stage cover, a crowd cover or an eye-catching centre piece for outdoor shows. 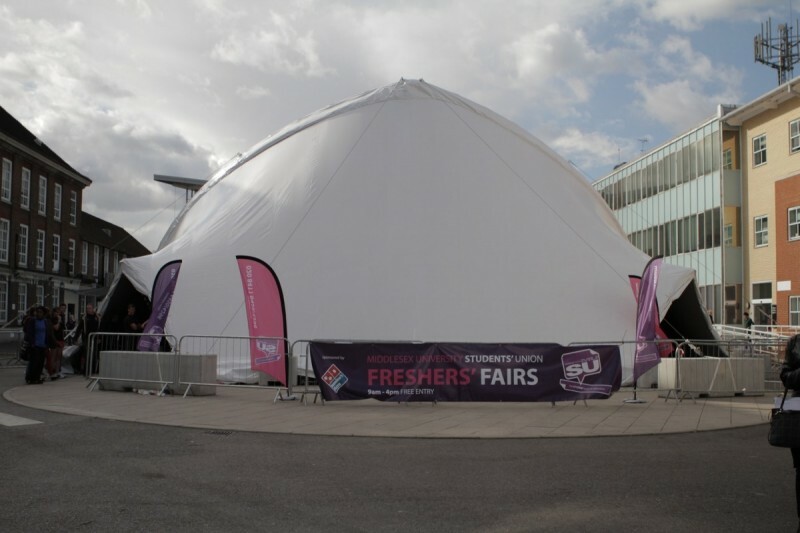 It can accommodate a stage of up to 16 metres width. 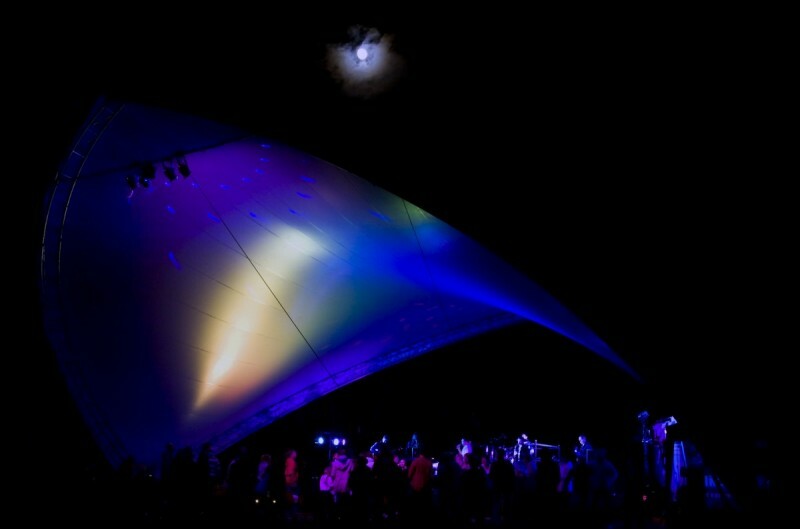 The most popular configuration, constructed with one end on to provide a large stage cover for bands and orchestras. It also provides a significant back stage area for artists, VIP guests and equipment. When fully enclosed the S5000 provides an amazing clear-span cavernous space which can host any corporate or private function, makes a funky dance tent or a unique beer tent! The size and shape of the structure allows for fantastic visual effects such as lighting, decoration and corporate branding. Saddlespans can be installed on grass as a standard installation or on a hard standing such as concrete or tarmac. Standard installation can be completed using the Saddlespan ground anchor system which comes included in the installation cost. If a hard standing is required this can be arranged using a ballast solution.